Have you ever wished dentists could find tooth decay before it spreads? With DIAGNOdent technology, that wish is a reality. 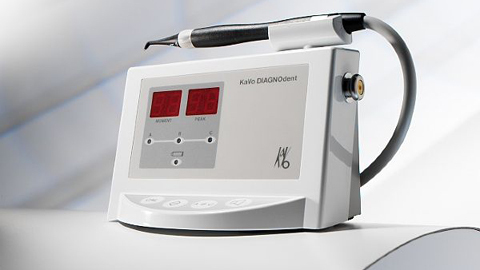 Couchman Dental uses this amazing tool to diagnose and treat even the smallest areas of tooth decay and to prevent them from becoming worse or costing more. Dr. Couchman is your DIAGNOdent dentist! Colorado Springs, CO, patients know their teeth are protected from further damage when they arrange for a DIAGNOdent exam. Because traditional X-rays only show about 50% of existing tooth decay, the latest DIAGNOdent technology was created to fill the gap. It works by focusing a harmless laser on the teeth; the laser then registers a digital readout identifying small “pit and fissure” cavities often missed during X-rays. We recommend this supplemental diagnostic tool along with X-rays for complete dental care. Stop little problems from becoming big problems by asking us about DIAGNOdent today!